Over 45000 square meters of rethought and redesigned spaces, transformed through an ambitious project of life and work, to create the new TCN GROUP production site in the textile machinery and precision mechanics fields. From Cherasco (CN), Giuseppe Bernocco was born and raised in his country of origin. Deep and strong roots, driven by the great desire to achieve, to produce. The meeting with his old friend and partner, Sebastiano Astegiano, has started, from the purchase of a first used lathe, what is today one of the biggest industrial hub of our territory: the beating heart of the Langa, arms reaching out to the world. In Piedmont, Galup means greedy and delicious. Because the ingredients that go into the product have always been the finest, so this company represents the excellence of Piedmont pastry. Galup is a name, an original recipe, a panettone that stands out from all the others. Before Galup, the only panettone around was the milanese variety. The low panettone with a hazelnut frosting was an innovation, brilliant and tasty, which reinterprets an ancient tradition and inspires a new classic of the high-level piedmontese pastry: the Galup Colomba. The recipe has been refined over time, but the personality of the pastry is still the same, the one given to it by Pietro Ferrua and that within a few years earned his pastry shop a patent of Royal House Provider. In 2015 the company inaugurated the historic Pinerolo plant, completely renovated. New technologies and new machinery have been introduced and the company is now developing on an area of 10,140 square meters. Galup represents the excellence of Piedmont pastry and the renovation works of the historical site confirm both the innovative spirit of the company and the link with his native soil. Galup guarantees the tracciability both of the raw materials and those used in production and has been awarded the 9001, 14001, 18001, sa8000, BRC, IFS and Organic certifications. Golosi di Salute is the artisan cake shop that cares about health, but loves delicious things too. It's a perfect balance between taste, wellness and regard for intolerances. Suitable for anyone who loves natural sweetness that's seasonal and, above all, authentic. The firm’s philosophy is to avoid using hydrogenated vegetable fats and refined oils. Like any self-respecting patisserie, there are traditional biscuits, and innovative ones too; creamy cakes, classic baked goods, desserts in glasses and a range of specialities for breakfast and afternoon tea, including croissants, muffins, tarts and fruit cake. There's also a chocolate selection, with gianduja spreads, cocoa and hazelnut creams and various types of chocolate bar. Sweets that are naturally healthy, but delicious and beautiful too. This is Golosi di Salute! Ancient recipes and new ideas, respect for tradition and advanced technology: these have always been the values underlying Mandrile Melis, with over 30 years of chocolate excellence in Italy and abroad. The firm began in Fossano in the province of Cuneo, producing the famous Cuneesi al Rhum. Over time, the passion, creativity and tireless perfectionism that distinguish the work of true craftsmen added new flavours and combinations to the original product, giving rise to a range of unmistakable delicacies. Pralines with cream, Cuneesi with liqueur, fabulous Basin ëd Fusan, Cioccogrissino, Cioccobella, Cioccomellows and Nocciolotto speak of a strong bond with the local territory and showcase the genuine Piedmont hazelnut from the Langhe area. An artisan bakery specialising in the production of high quality gluten-free sweets and savouries. The very best raw ingredients are used, such as almonds from Avola, Piemonte IGP hazelnuts, Agrimontana extra fruit conserves, Domori cocoa and Illy coffee extract. Pasticceria Cuneo comes from an idea by master patissier Daniel Bramardi who, after years of research and fine-tuning gluten-free versions of traditional Piedmont recipes, succeeded in creating a range of unique products with excellent flavours and quality. His mission is to offer products with a special and unmistakable flavour to anyone who suffers dietary intolerances or who prefers an alternative, healthy diet. Pasticceria Cuneo belongs to Prontuario AIC (the Italian Coeliacs' Association) and guarantees compliance with the rules established by the group. Bianco Engineering boasts a twenty-year experience in the design and manufacture of machines and automatic lines for packaging and industrial automation, in food, cosmetic, pharmaceutical and automotive sectors. The technical, mechanical and electronic divisions employ CAD CAM 3D Work Stations and software development environment for PC, PLC, CN, and robotics, that guarantee a state-of-the-art technological quality standard. The Packaging division manufactures vertical and horizontal cartoners, box forming machines, box closing machines, automated cartoning stations, electronic cluster packaging systems, palletizing stations, horizontal electronic flowpack, twist wrapping cartoners, shrink wrappers for trays in preformed plastic, special machines. The Product processing division manufactures automatic single-serve ultrasonic cutting machines, high-speed ultrasonic multi-cut cutting stations, automatic sandwiching machines with chocolate or cream filling system, baking tray loading/unloading systems. The Automotive division specializes in the manufacture of automated stations with artificial vision systems, metal sheet and plastic welding machines, ultrasonic welding and cutting machines for plastics, automatic setup and testing equipment, automatic glue dispensers for moulded profiles. Since over 40 years, Bianco® has designed and manufactured machinery with advanced technology for textile finishing for the technical textile industry and, more recently, for the fast-growing non-woven fabric industry. Founded in 1974, Bianco® is today a dynamic company with a considerable background and professionalism, with a staff of great experience, passion, absolute devotion and technical expertise. Bianco® is a concrete expression of “made in Italy”, always leads the way in R&D, constantly involved in testing of new state-of-the-art products, with high technological value. Bianco is a versatile company and has chosen a virtuous path consistent with the principles of a sustainable development which respects the environment and our natural resources. Innovation and business network are the key words with which the company faces the challenges of the global market. Unbelievable added value is the exceptional sales network, structured at an international level, composed of agents and representatives who have always paid the utmost attention to customer needs, with whom, over the years, a relationship of trust has been consolidated not only linked to quality of products, but also to the readiness of technical assistance. The ability to constantly evolve on the international market is at the base of the success of Bianco, projected towards new horizons knowing that the strength lies in technology, but also in people, in professionalism. Now Bianco® offers a range that counts over twenty families of machines and accessories for the textile industry, entirely designed and manufactured in Alba (CN), in TCN Group® industrial hub. TCN Mechanical Division specialises in the sub-contracting of precision mechanical parts to design and client specifications. Versatility and flexibility in production makes it competitive, from the preliminary phase of prototype execution to the next production phase of small, medium and large sized batch series. Based in Alba (CN), within the TCN Group industrial zone, Mechanical Division boasts years of experience in the mechanical machining and assembly field. A solid and dynamic company, in continuous expansion and evolution, and an experienced team with excellent specific skills guarantee precision and utmost quality. TCN Vehicles Division specialises in mechanical machining and assembling of forged or full material aluminium components, intended for original equipment and aftermarket automotive and motorcycle sectors. 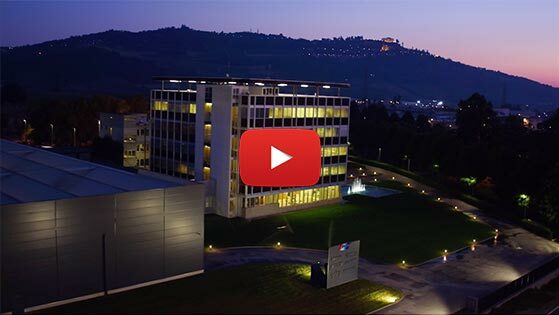 With its headquarters in Alba (CN), within the new TCN Group Industrial Park, the Vehicles Division boasts years of experience in high-level process technologies, machining techniques for chip removal, milling and turning. A solid and dynamic business, constantly growing and evolving, a team with specific expertise and a large production capacity guarantee flexibility, punctuality and high quality. There are several ways to develop an e-bike concept. THOK’s vision focuses on performance, as a direct influence of its creator: Stefano Migliorini. A friendship that was born from a common passion for mtb, Livio Suppo introduced Stefano to the world of e-mtb and an idea to build his own bike, the THOK. This idea became a reality thanks to the meeting with Giuseppe Bernocco and Sebastiano Astegiano, two of Piedmont’s greatest entrepreneurs who head up the TCN Group. Mountain biking is a wonderful sport, that takes you on incredible adventures into nature. It is also a fantastic form of exercise, with no CO2-emmitting vehicles sharing the trails, making it very healthy, reducing stress and decreasing chances of depression!